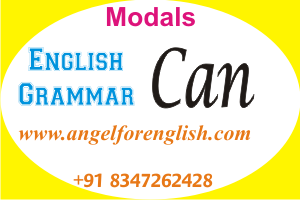 The main use of ‘can’ is to show such an ability of doing something special which common people are not able to do. South Indian heroes can beat/defeat hundred of villains at a time. The falcon can see so far. Darasing can lift the buffalo. The rich can buy anything. The Arabs have lots of rupees so they can enjoy better luxurious life. Stephen Hawking can give answers of any complicated issue of Physics. Google boy can give answers of any geographical question. Can is used to show ability or disability for Present situation or for Future situation too. If ‘can’ is used in negative, it indicates the same but opposite meaning. At present I don’t have time so I can’t chat with you but when I get enough time, I can chat with you. We can’t touch the sky. We can’t live without air. Nobody can save us from death. When and if we want to know the same/ability of others, we use ‘can’ in interrogative sentences to ask and to know about others ability of doing something. Can you solve this puzzle, Mihir? Can Indian cricket team reach to the target of 500 runs? This patient is very serious; can any doctor save him/her? Can you marry your dream girl/boy ? 1. Can I use your cell? 2. Can I come, in? 3. You can go now. 4. It can’t be true. Affirmative: Subject + can + v-1 + object or other words. Negative : Subject + cannot or can’t + v-1 + object or other words. Interrogative : Can + subject + v-1 + object or other words ?